But I actually found this link to be a lot of fun. I know its a clever way to get free advertising out there for them ,but it is addictive! My kids loved playing with it and you can send on an email to friends, for a fun greeting. Your photo file needs to be 1mb or smaller ,so have a good clear , face shot of kids or family ready. A few clicks and you have your own animated Santa. 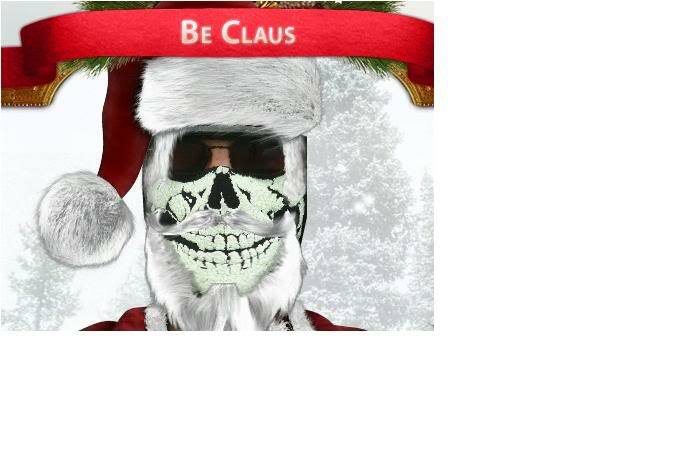 and then click on "Be Claus"
Parts of Anna Nicole Smith look great as well but prob not a good idea to post them!! !